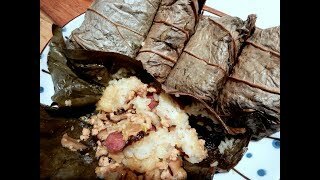 A mini version of the normal sticky rice dish. 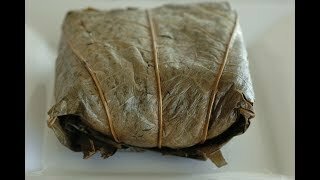 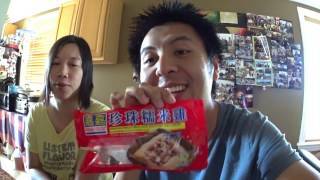 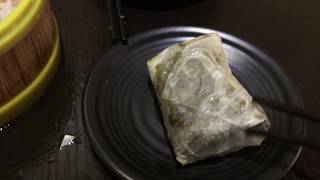 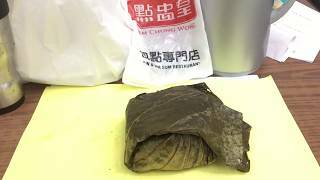 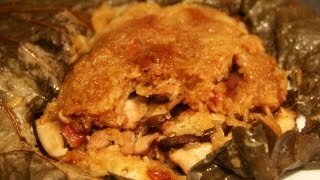 The lotus leaf wrap contains glutinous rice, chicken, pork, sausage, dried shrimp, egg, mushrooms, and scallions. 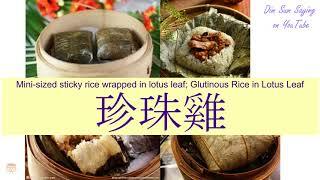 The glutinous rice is the sticky portion. 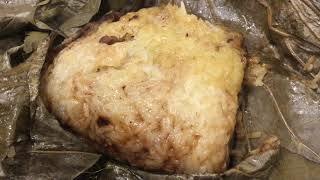 Note that the wrapping may sometimes be banana leaf instead of lotus leaf, but the difference is negligible. 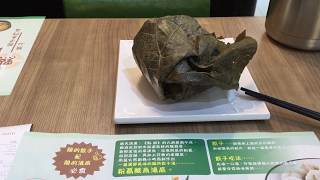 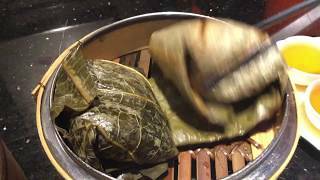 糯米雞 Lo mai gai dim sum "steamed sticky rice with chicken in lotus leaf wrap" 珍珠雞 "pearl chicken"
糯米雞 Lo mai gai dim sum yum cha "steamed sticky rice with chicken in lotus leaf wrap" 珍珠雞 "